One 25g scoop of protein powder may look like too much for a small pudding cup, but keep mixing until the powder disappears. The consistency of the pudding will remain relatively the same, and it *will* absorb all of the powder. *Add a banana for some extra nutrition (and to make the dish more filling). Bananas are rich in potassium, which is great for the muscles and can help reduce the spasms that many Fibro sufferers experience. Earlier in the evening, my friend and I went grocery shopping. He’s a former personal trainer and is very knowledgeable in both the areas of nutrition/diet and exercise. Currently, he’s getting back into shape after an injury, and had been telling me all day how he had been craving pudding, and that we had to go get some (of the sugar free variety) for him. If you’ve tried sugar free pudding, you know that it really doesn’t taste like it’s missing anything and is just as satisfying as the “real” stuff. When we got back to my house, he asked for my vanilla protein powder and put 2 scoops into a bowl, along with 2 sugar free double chocolate pudding cups.. mixed it together and insisted that I try it, promising that it tastes like cake batter. I was pretty cautious, taking a tiny amount, and apparently wasn’t wearing a pleasant expression when I gave it a try. He proved me wrong. It literally tastes almost exactly like boxed cake mix before it’s put into the oven. That was about 50 grams of protein in something that tasted amazing. We all know that chocolate releases endorphins into the brain and that fibro can decrease the normal and natural production of “happy chemicals”. Endorphins can cause all sorts of great feelings (and are also tapped into through exercise); That happy temporary high that can increase pain tolerate for a certain period of time. On top of that, chocolate can produce feelings similar to those of falling or being in love by promoting phenylalanine (an amino acid) to be released into the brain. All of that is probably unnecessary information, though, because I doubt I need to convince anyone to eat chocolate. The benefits don’t stop at the emotional and physical gratification caused by chocolate and it’s substitutes. 50 grams of protein is a lot and you do have to watch how much you take in, as too much protein can lead to kidney stones. Sometimes just 1 scoop will cut it (you can check out your daily protein requirements based on your activity level and body type/gender at exercise.about.com/cs/nutrition/a/protein_2.htm). The benefits of protein to those with fibro are immense, however. First, it can be difficult to stay in shape and avoid becoming overweight, with a condition that causes many to become quite sedentary. 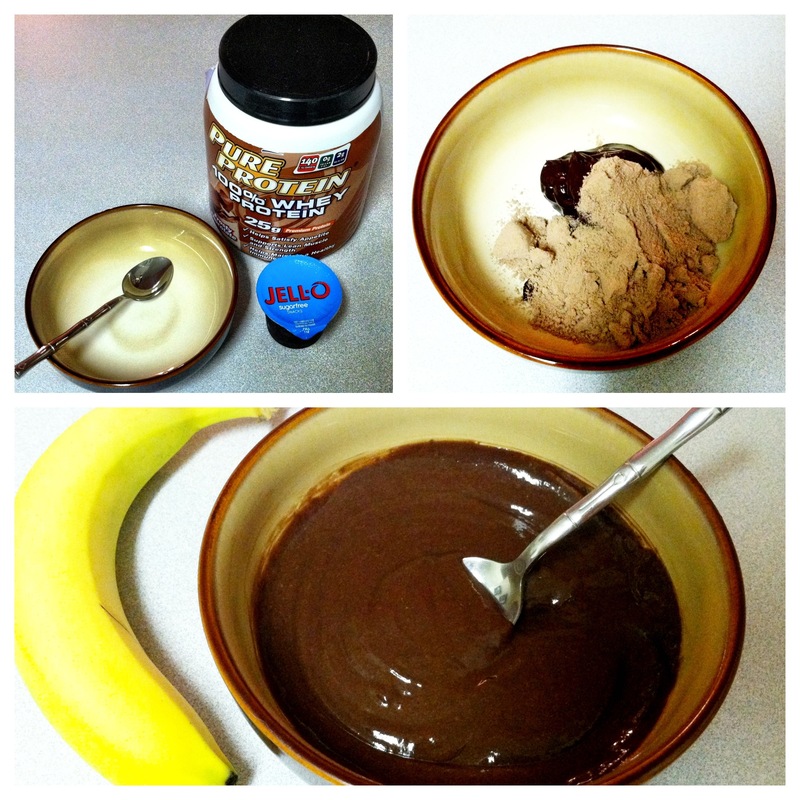 Consuming this snack instead of a cookie or chips is going to cause a LOT less fat build up. Additionally, research has shown that a high protein diets may “fill you up” more efficiently than one high in carbs, thus decreasing your daily caloric intake and helping to shed some lbs. Of course, paired with exercise, the benefits are much greater. Keep in mind that those with Fibromyalgia have shown to experience an increased development of lactic acid in their muscles. This normally occurs after intense exercise, and is what causes “post workout soreness”. Protein helps to reduce pain, simply put. How? It increases a naturally occurring amino acid called tyrosine. Tyrosine plays a role in synthesizing dopamine (which sparks feelings of well being, clear mindedness and of course… reduces pain) and noradrenaline (which raises blood pressure and increases energy and alertness). How’s that for natural Fibromyalgia treatment?